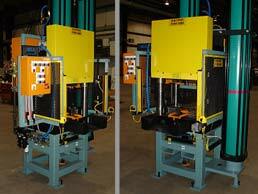 This single station machine performs crimp joints to wrap the material flanges around the perimeter of the part. 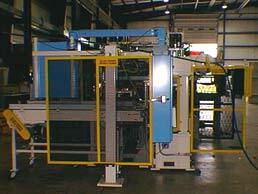 This machine also performs a secondary staking operation. Condenser tube and bracket assemblies are crimped into position in this station. This hinge pin staking press utilized a four station dial table as well as bowl feeding equipment to assemble parts for an appliance customer. This 30 ton swage machine pressed sleeves around journal assemblies while submerged in ethylene glycol to make automotive parts. 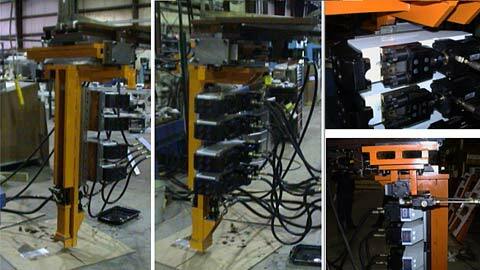 MLS Systems retrofitted a refrigerator cabinet line where weld joints were replaced with BTM lance joints. As with many retrofit projects that MLS Systems performs, this retrofit was performed over a holiday shut down when production had stopped. The components were thoroughly tested on our floor then shipped and installed on the main production line at the customer’s facility. The machine above incorporated a four station dial table where automotive components were manually loaded and staked into place. 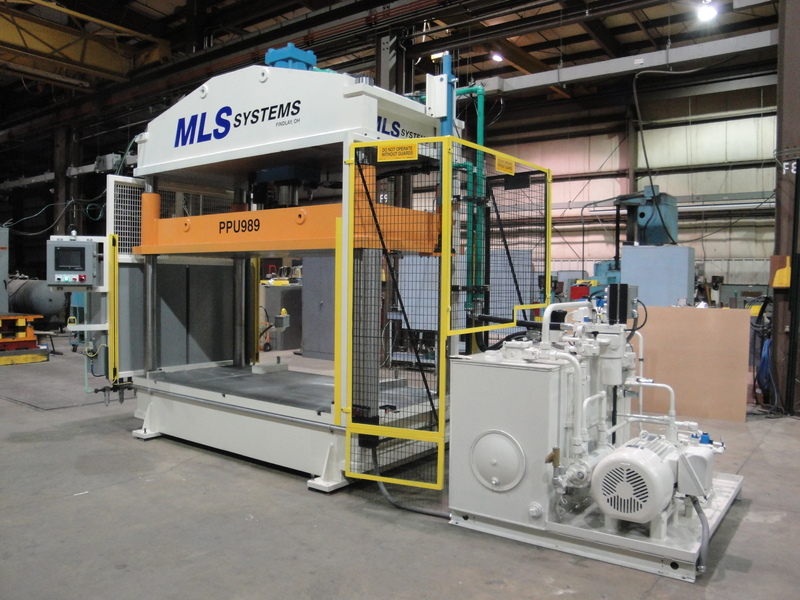 MLS Systems has built many machines which utilize custom metal joining operations such as staking. MLS Systems has designed many machines which incorporate metal clinching like the machine above which performs Tox joints to oven cook tops. This machine operated at a 9 second cycle time and performed approximately 12 Tox joints to the cook tops attaching stiffening brackets to the corners and underneath side. MLS Systems has designed many machines which incorporate metal clinching like the machine above which performs Tox joints to vent assemblies. 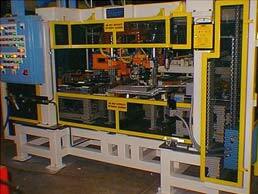 This machine operated at a 8.5 second cycle time and performs approximately 18 Tox joints to the vent assemblies. We’d be happy to answer any questions you have. Get in touch to start the conversation! Responsible for designing and manufacturing quality automatic and semi-automatic material handling, welding, and assembly systems. Our hours of operation at our headquarters in Findlay, Ohio. At MLS Systems, we strive to make our products the best and most functional they can be for our customers. We can’t do it without skilled workers who are dedicated to making sure the product is exactly how the customer wants it.